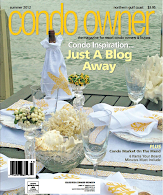 Hello y'all, all is well here at Coastal Charm. We have not left our home since Monday night and yes, I'm about to go crazy!! Thank goodness our weather forecasters got this one right and everything on both sides of the bay closed down in time. I feel so bad for some other forecasters that didn't get it right. Hey folks, we are all human and things like this happen. Two cities that got hit hard without much warning was, Birmingham and Atlanta. Since I have family and friends in both of these cities, I was very concerned about their well being. My nephew in Atlanta, spent four hours stranded at a restaurant, then decided to walk 3 miles to a friends house for the night. Thank goodness, he made it home today around 2:00 p.m. safe and sound. I have a cousin also in Atlanta, and after spending 5 1/2 hours (only going 20 miles), he had no choice but to spend the night in his car. He was hoping to get a hotel room, but their were none available in walking distance. He finally did make it home this morning. In Birmingham, we had friends stranded on the highways and running out of gas. I'm happy to report that they all finally made it home safe and sound, after walking for hours in the ice and snow. I'm sure that to some of you, this sounds silly, but ICE is nothing to mess with down here in the deep South. We can handle hurricanes, but we are not equipped to handle Winter storms. I have been busy painting furniture and later today, Mr.CC and I will tackle a major clean up in our home office...wish us some luck...we will need it. Our roads will not be safe for travel until Thursday afternoon, and I am praying that I can get out then. I sure hate to think that I might spend my birthday at home, that doesn't sound like fun to this old gal. Now, let's see what a ice/snow storm looks like here at Coastal Charm. It's a tad bit cold and wet, to sit here today. So, let me show you around my nest. We were hoping for snow, but most of this is ICE!! My poor palms...I sure hope they can survive this ice. Watch out for that ice on the patio. This is when I want a garage. This pic was taken after our street was free of ice. 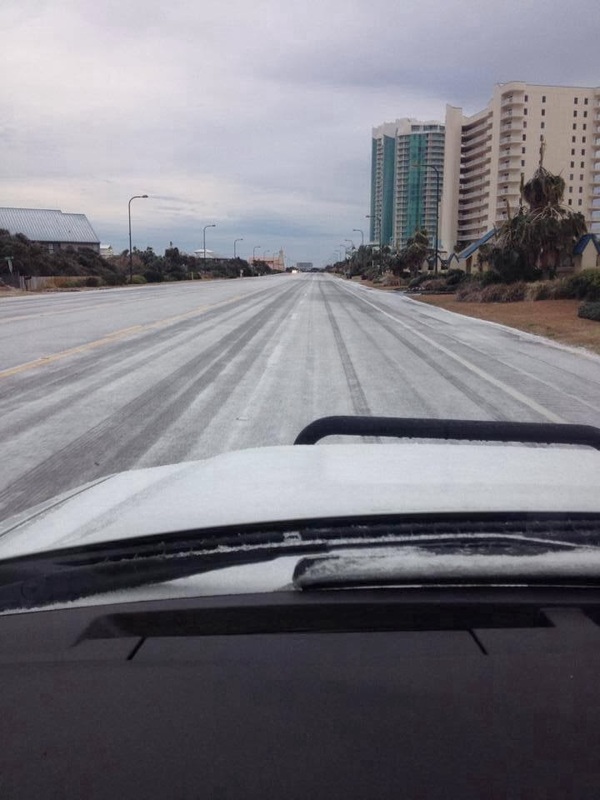 covered with ice, in Orange Beach, AL. NOTE...this pic belongs to a friend of mine. 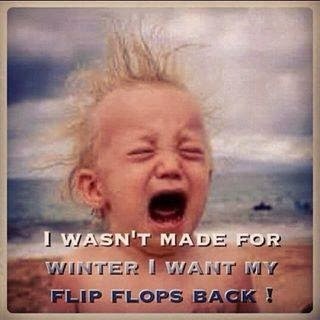 wear my flip flops asap! temps will be in the 70's...yippee!!! Being our first winter in Alabama, we are loving it even though most of it is ice. There was no such thing as a snow day in Southern CA! I was reading an article online about the weather here in the South and the comments were making me mad! Most people think we just got a dusting of snow and we're wimps. Umm, I don't care where you live, ICE is completely different than puffy snow. Stay warm Southern friend! I think we get to 70 degrees on Sunday too. The fireplace will be happy. Haha! My son lives in Birmingham, he is safe and sound at his home, thankfully. I have many friends that live over the mountain in Birmingham and some of them had to stay in a motel, kids sleeping at school, and people literally walking 10 - 15 miles to get home. I lived there for a long time, but we never had anything liked they had yesterday and today. Feeling for all of them! I with you - bring me the beach and some warm weather. It is cold in Texas too! I feel so bad for you in the south my brother is on the Mississippi coast and dealing with the same thing. He said they just don't have the equipment to deal with it. I remember an ice storm in Elizabeth City NC the first year that I moved there from Indiana. They were throwing salt by hand on the bridges. I laughed about it then. I don't think people really understand how ill prepared some states are for ice and snow. Maybe this will change now. this is just a crazy winter, we're expecting snow again in a few days. What's killer here is the wind, makes it so much colder!! stay warm and have a great Birthday!! That last picture of all the ice on the beach is incredible, looks just like sand. We've been watching the news and all the stories about people being stranded on the highways for hours and hours. If the same thing happened here in our valley, we wouldn't know what to do either. Hope it thaws soon and everyone remains safe. Thanks for sharing Linda. That picture of ice on the ramp down to the beach is incredible. In a way, your pics show more snow than we got in Enterprise. I put a few on my blog. Ours is mostly ice and soo cold! The horror stories of friends in Bham and Atlanta is awful. We were prepared and forewarned and they did get it right. 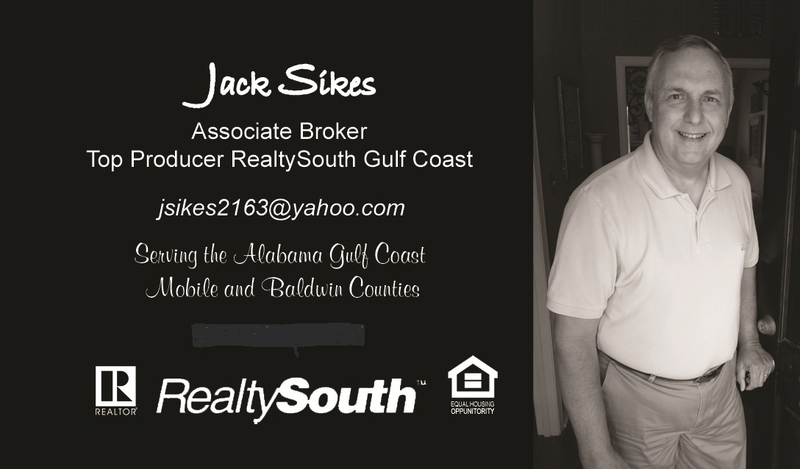 Looks like you got a little bit more ice than we did over the bay here in Fairhope. Our streets are all frozen solid, but my yard doesn't have quite as much "white" to it. I'm locked up snug with teenagers who are eating everything in sight! I'll need to make a run to the Piggly Wiggly as soon as the roads are clear! Take care and stay nice and warm! This has been some winter for everyone. We got some sleet and a little snow flurries in Houston and it has been quite cold. 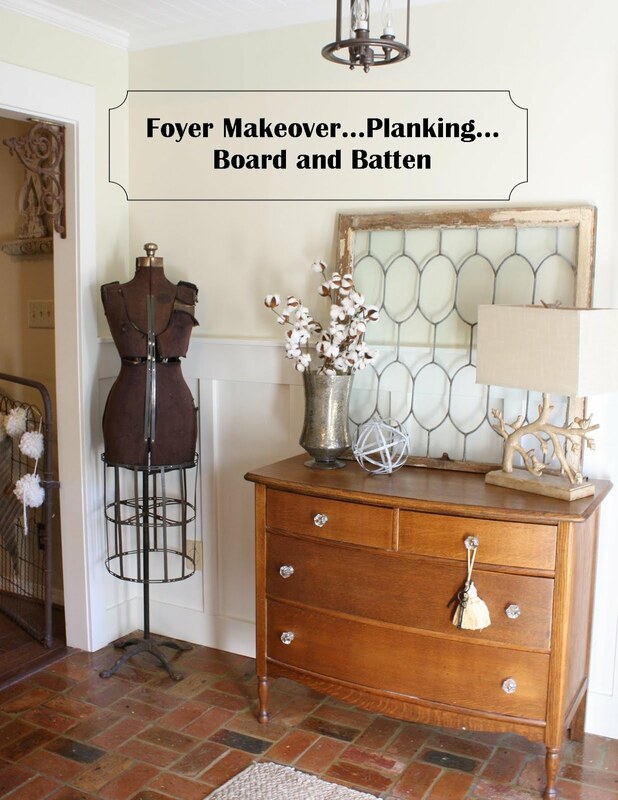 Glad you are safe and you got plenty of DIY projects to keep you busy! Stay warm! Stay warm. Our palms didn't make it. Hope yours do. Stay warm and safe Linda! Have a wonderful birthday. 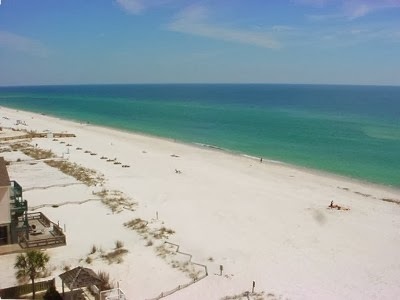 I can't believe those photos of Orange Beach! A friend on Ono sent me pics of ice on the canal in front of his house! Birmingham was a nightmare, everyone has a story, we are finally getting back to normal but schools are closed til Monday. I hope you don't lose any of you foliage. All my small palms at our beach house died last week and I'm afraid the big ones are going to now :( Happy Birthday, I hope you get to go out! It was fun to see what ice looks like on the beach! I've never seen that before. Lucky you to get temps in the 70's this weekend. We will warm up in the 60's ourselves. I'm very happy about it too. I know you guys down south are not use to this kind of weather. We are having the worse weather in the midwest too. More snow and cold for us this week end. It seems like it will never end. Ohhhh to feel 70's again. Enjoy. oh my goodness...that does look icy! Glad all your loved ones made it home safe! Sorry you experienced that storm..and we, for a change, had lovely sun....yes we where enjoying a "west coast heat wave"! Take care and happiest of birthdays! Don't let anyone fool you, NO one is able to negotiate ICE Linda!! It's the worst of winter weather. But on the bright side you look fabulous with a glistening icy background! The country has been blasted with winter this year. Stay warm, stay safe and enjoy your creative time. You know | never knew it snow in the south - never! Stay warm - have a very happy birthday at home! Ice on the beach is a strange sight. WOW! We too had lots of ice here in NOLA. Ouch. Sunshine to you from the coast of India. Really..ouch! I don't think I've ever seen ice and snow at the beach, either. Gosh, hope your plants made it ok. Hasn't this been a crazy winter? 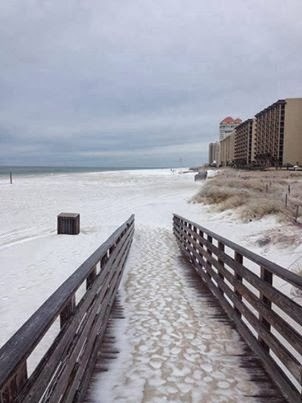 Love seeing the beach with snow and ice! This has been a crazy winter and I will be so glad when Spring arrives. Thanks for sharing the pics!